Inverter output function: After opening the front panel "inverter switch", DC battery can be transformed into a pure sine wave AC power from the rear panel "AC output". 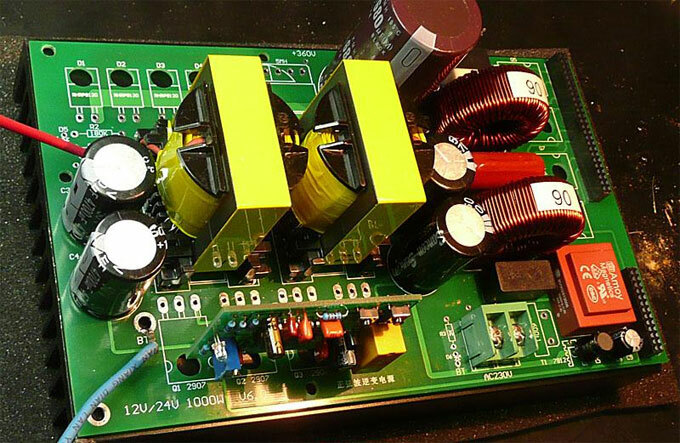 Automatic voltage stabilization function: When the battery voltage of the pure sine wave inverter between under-voltage and over-voltage point fluctuations, changes in the load of rated power, then the device can automatically regulated output. Over-voltage protection function: When the battery voltage is higher than the "over-voltage point", the device will automatically cut off the inverter output, front panel LCD shows "over-pressure", and the buzzle will have ten seconds alarm. Until the voltage is dropped to "over-voltage recovery point", the inverter back to work. Voltage protection function: When the battery voltage is lower than "under-voltage point", in order to avoid over-discharge damage to the battery, the device will automatically cut off the inverter output. In this case, the front panel LCD shows "under-voltage", and the buzzle will have ten seconds alarm. 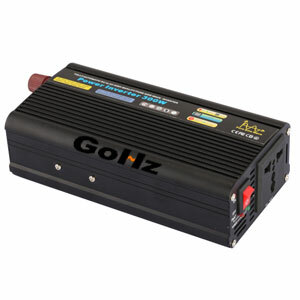 Until the voltage increases to "voltage recovery point", the inverter back to work. 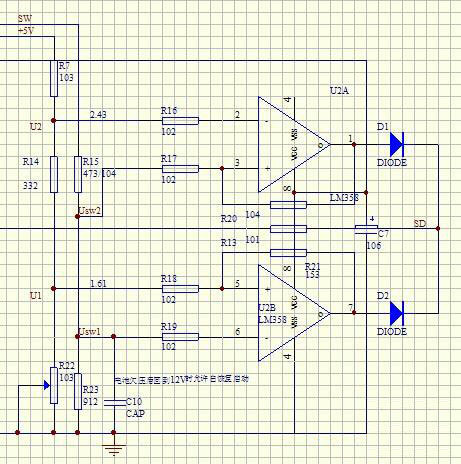 If there is a switching device, it will automatically switch to electricity output when under-voltage. Overload protection: If the AC output power exceeds the rated, the device will automatically cut off the inverter output, front panel LCD shows "overload", while the ten second buzzer alarm. Close the front panel of the "inverter switch", "overload" disappears. To reboot, you must check that the load within the allowable range, and then open the "inverter switch", to restore the inverter output. Short circuit protection: If the AC output circuit short circuit, the device will automatically cut off the inverter output, front panel LCD "overload", while the ten second buzzer alarm. Close the front panel of the "inverter switch", "overload" disappears. To reboot, you must check to confirm output line normal, and then open the "inverter switch", to restore the inverter output. Overheating protection function: If the temperature inside the pure sine wave inverter control part is too high, the device will automatically cut off the inverter output. At the same time, front panel LCD shows "overheating", and the buzzle will have ten seconds alarm. After the temperature returns to normal, the inverter output recovery. Reverse battery protection function: The pure sine wave inverter device has a complete reverse battery protection features such as battery polarity is reversed. The fuse will automatically fuse inside the chassis to avoid damage to the battery and the device. But still forbidden reverse battery! Optional mains switching function: If you choose state electricity switching function, when the battery under-voltage or inverter failure, the device can automatically switch the load to the mains supply, in order to protect the power system stability. 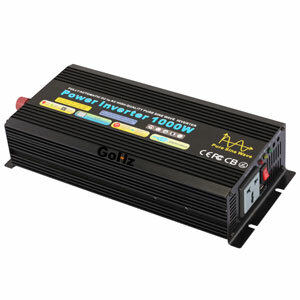 After the normal operation of the inverter, the inverter will automatically switch to the power supply.